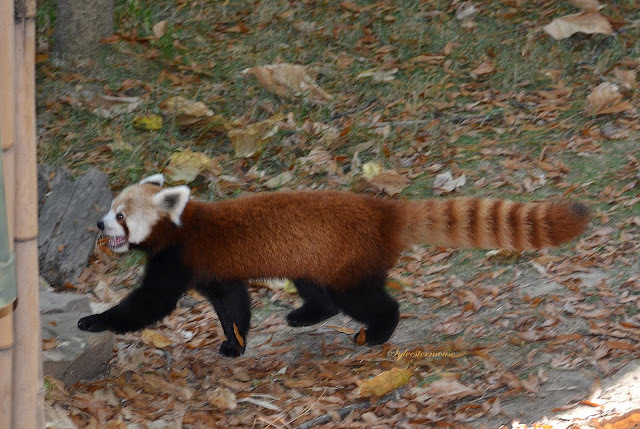 It is unlikely that you will ever see a Red Panda anywhere other than in a zoo. They are very rare and these little solitary creatures are only about the size of a domestic cat. Red Pandas are extremely hard to spot in the wild. One of the reasons they are so hard to find in the woods is simply because Red Pandas rest during the day. They usually become active at dusk and frolic around the forest until dawn. Since Red Pandas are normally sleeping in the trees during the day, their red fur coats blend right in with the tree bark and provide the perfect camouflage for this small beauty. Sometimes you can spot the Red Pandas dangling tails or catch a glimpse of their pretty white face. However, when it is cold, Red Pandas wrap their tails around their bodies covering those lovely white faces. The most you can hope to see then is a little red fur ball. When you see the color and beauty of the Red Panda’s fur, it becomes very clear why Red Pandas are known as a “fire fox” in their native county of Nepal. The Red Panda's gorgeous red coats do blaze in the sun and their tails are thick and furry like a fox. 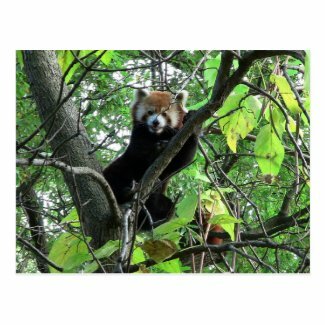 I love to watch Red Pandas climb up and down the trees. They don’t run like squirrels, Red Pandas just take their time and mosey down the tree like they have no particular place to be. They frequently stop to smell the air and look around. Most likely checking to make sure there are no predators around before they proceed. You would think Red Pandas couldn’t climb slowly down the trunk of a tree, but they definitely can. The Red Pandas partially retractable claws dig right into the bark of the tree trunk and their short little legs and ankles are easily strong enough to hold the weight of their bodies and keep them from tumbling headfirst to the ground. 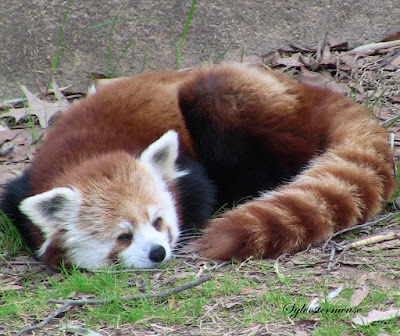 It is a sad reality that Red Pandas are endangered. Because of their protected status, it is illegal to hunt Red Pandas in any country. However, unlike many endangered animals, Red Pandas seem to thrive in zoos. There have been over 300 Red Pandas born in zoos and that is truly most excellent. All Red Panda photos are the exclusive property of Sylvestermouse and should not be copied without written permission. What a great write up about Red Pandas. 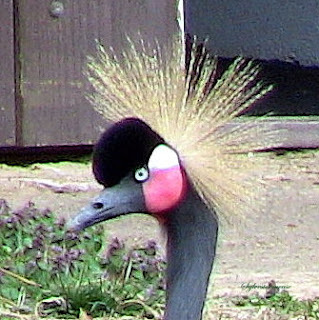 I have seen them at zoos and am always attracted to this animal. Thanks for the info! 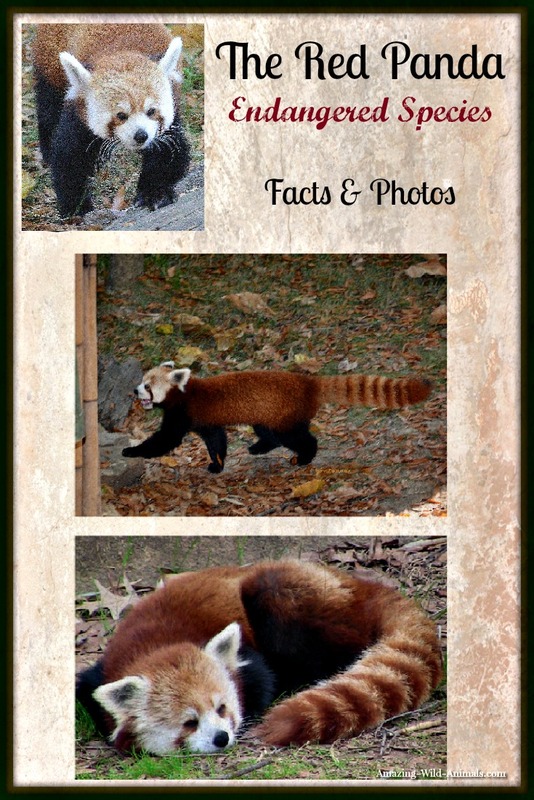 I remember the first time I saw a picture of a Red Panda and was surprised to find it wasn't a 'Panda Bear' at all. Guess I expected it to be just like the 'Giant Panda of China (only red), but instead it reminds me more of a raccoon. Lovely article (and photo). Glorious animals. Enjoyed learning more about this precious creature. I think I need to make a trip to my zoo. I haven't been there in a while and I do love seeing animals thrive where they are endangered elsewhere. Hopefully one day that won't be the reality.